Fantasy books in general, especially Terry Pratchett and Terry Brooks. 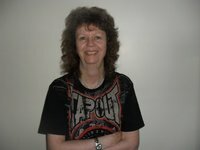 I am a children’s author who lives in the north west of England. I have been a prolific reader all my life, and for many years have spent most of my free time writing. As well as being educated up to degree level, I have completed courses and received diplomas from ‘The Writing School Ltd’ and ‘The Academy of Children’s Writers’. My aim in life has always been to write, and I have had a sideline of freelance writing for more years than I like to admit to having lived. This has mainly involved published articles in such magazines as ‘Prediction’. I have also completed several children’s novels. ‘Caution: Witch in Progress’ was published by Ghostly Publishing in 2013 and launched at Earl’s Court Book Fair. I released something completely diffe I am a children’s author who lives in the north west of England. I have been a prolific reader all my life, and for many years have spent most of my free time writing. As well as being educated up to degree level, I have completed courses and received diplomas from ‘The Writing School Ltd’ and ‘The Academy of Children’s Writers’. My aim in life has always been to write, and I have had a sideline of freelance writing for more years than I like to admit to having lived. This has mainly involved published articles in such magazines as ‘Prediction’. I have also completed several children’s novels. ‘Caution: Witch in Progress’ was published by Ghostly Publishing in 2013 and launched at Earl’s Court Book Fair. 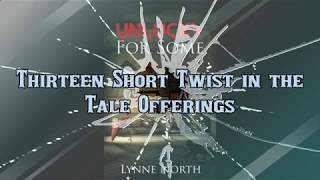 I released something completely different on Kindle in 2014, a compilation of 13 macabre Twist in the Tale short stories, titled ‘Unlucky For Some’ and definitely NOT for children! If you enjoy scary, check it out! This book is now also available in paperback. A short children’s fantasy, ‘Emily and the Enchanted Wood’ was released by my new publisher, Crimson Cloak Publishing, towards the end of 2015. A very different children’s humorous fantasy, ‘Be Careful What You Wish For’, was released by Crimson Cloak Publishing on St Patrick’s Day 2016. At the end of 2016 my first Role-play gamebook, ‘The Chalice of Jupiter’ became a reality, with more quests to come in the future! I have recently completed my next Crimson Cloak Quest, a short companion book to ‘Caution: Witch in Progress’, and I am working on a fantasy novel for young adults titled ‘Dimensions’. 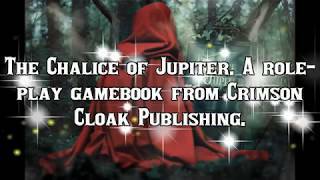 I am also working as the Marketing Director for Crimson Cloak Publishing. To ask Lynne North questions, please sign up. Pirate’s Peril by Lynne North, out now in paperback!